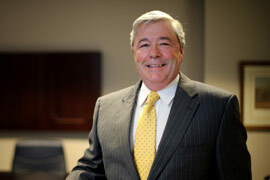 Mr. Ockerman joined the firm in 2000 as a partner. Mr. Ockerman’s primary area is medical defense. Mr. Ockerman was a surgical assistant for ten years prior to earning his law degree. Since entering the practice of law in 1991, Mr. Ockerman has practiced primarily in the area of medical malpractice defense. He has defended hundreds of physicians, many hospitals, and other medical professional malpractice suits throughout Northeast Ohio. He has tried more than fifty jury trials to conclusion in Cuyahoga, Columbiana, Stark, Summit, Trumbull, Portage, and Mahoning Counties.